Accounts receivable, sometimes shortened to "receivables" or A/R, represents money that is owed to a company by its customers for products or services that it has delivered but for which it has not yet received payment. The nature of a company's accounts receivable balance depends on the sector and industry in which it operates, as well as the particular credit policies management has set in place. Companies document their A/R on the balance sheet, as a current asset. The best way to understand accounts receivable is to view a transaction and how it ends up on the balance sheet. Imagine that Wal-Mart wants to order a new special-edition boxed set of Harry Potter books from the publisher. It negotiates a 50,000-unit run that won't be available anywhere else. The books are printed and packaged, and the publisher will charge Wal-Mart $30 per set. Wal-Mart will sell the sets for $90 each to its customers. When the publisher ships the 50,000 units to Wal-Mart, it will include a bill for $1,500,000. That's money owed to the publisher (50,000 qty x $30 per set = $1,500,000). Wal-Mart has received the physical books, but the publisher hasn't been paid even though it is legally entitled to its money. That $1,500,000 sits on the publisher's balance sheet as an account receivable. On the flip side, it sits on Wal-Marts balance sheet as both an inventory asset and an accounts payable liability. Generally, a company that sells products on credit sets terms for its A/R. The terms include the number of days within which customers must pay their bill before they are charged a late fee. When customers don't adhere to the payment terms, the seller can approach its customer and offer new terms or some other remedy to collect on the bill. If no progress takes place, the accounts receivable balance is either turned over to a collection agency or, in more extreme cases, the firm sues the person or institution that owes it money, seeking relief from a court by seizing assets. Firms often use any of a number of customary A/R terms. These are expressed as "Net 10," "Net 15," "Net 30," "Net 60," or "Net 90." The numbers refer to the number of days in which the net amount is due and expected to be paid. For example, net 10 means you have ten days from the time of the invoice to pay your balance. To free up cash flow and increase the speed at which it can access funds, many companies offer an early-pay discount on longer-dated A/R balances to motivate their customers to pay them sooner. It is usually in the customer's best interest take advantage of the discount and pay early, because the discount works out to a compound annual growth rate far in excess of what it could earn elsewhere. Having a large A/R balance on the balance sheet seems positive. You would think every company wants a flood of future, expected cash coming their way. However, money in A/R is money that's not in the bank, which exposes the company to a degree of risk. If Wal-Mart went bankrupt or simply didn't pay the publisher, it would be forced to write down the A/R balance on its balance sheet by $1.5 million. Absorbing this loss and being stuck with 50,000 units of custom Harry Potter books could be devastating to the publisher. Take a look at a firm's accounts receivable book. It should be well diversified. 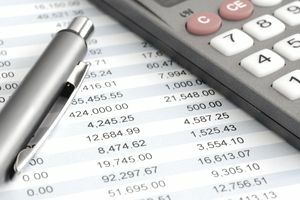 If one customer or client represents more than five or 10 percent of the accounts payable, this creates exposure and might be cause for concern. Normally, companies build up a cash reserve to prepare for situations such as this. Reserves are specific accounting charges that reduce profits each year, meant to approximate anticipated losses. If reserves are inadequate or need to be increased, additional charges need to be made on the income statement. Reserves are used to record money set aside to cover all sorts of issues, ranging from warranty return expectations to bad loan provisions at banks. Some companies have a different business model and actually get paid upfront. In this case, the business doesn't record an accounts receivable, but instead enters a liability on its balance sheet to an account known as unearned revenue or prepaid revenue. As the money is earned, either by shipping promised products, making progress through the manufacturing process when using the "percentage of completion" method, or the passage of time, it gets transferred from unearned revenue on the balance sheet to sales revenue on the income statement, reducing the liability and increasing reported sales. A good illustration of this is the asset management industry. Clients often pay fees to a Registered Investment Advisor quarterly, billed in advance. The advisory company receives the cash but hasn't yet earned that cash. For each business day that passes, a certain percentage of fees becomes earned and non-refundable. An asset management company that opts to bill in arrears, on the other hand, would temporarily have an A/R balance on its balance sheet, usually for only a day or two as fees are deducted from client custody accounts in most cases.